Follow our complete, step-by-step, photo illustrated instructions to make this Giblet Gravy from scratch. An old time favorite for your mashed potatoes, turkey or dressing. We make this using the giblets from our turkey, just in time for the holidays. Printable recipe included. 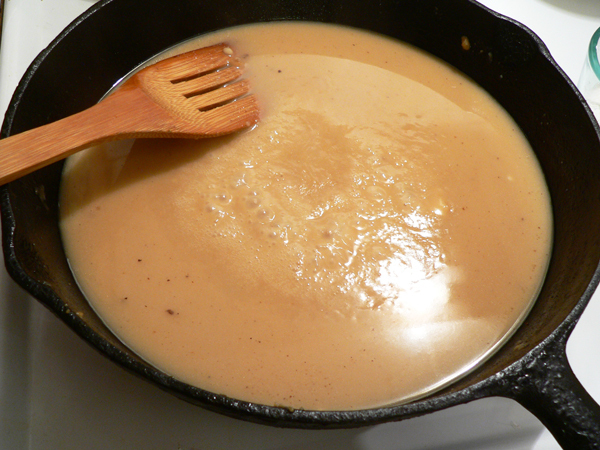 If you’re thinking “I can’t make gravy,” then we feel your pain. It does take a little practice, but it’s much easier than you might think it is. You can even make it without lumps. No kidding, you can do this. I love a good gravy. Pour it over mashed potatoes and I can make a meal off of just that. Sorry, it’s just me I guess. 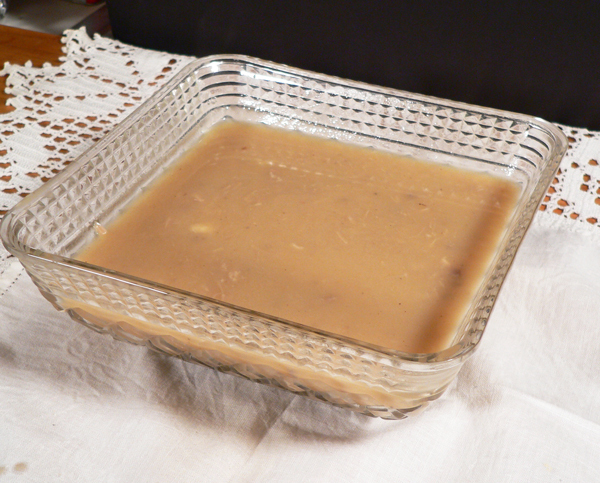 Mama always made sure we had giblet gravy at Thanksgiving after she roasted a turkey for hours and hours. It just didn’t get much better than that. 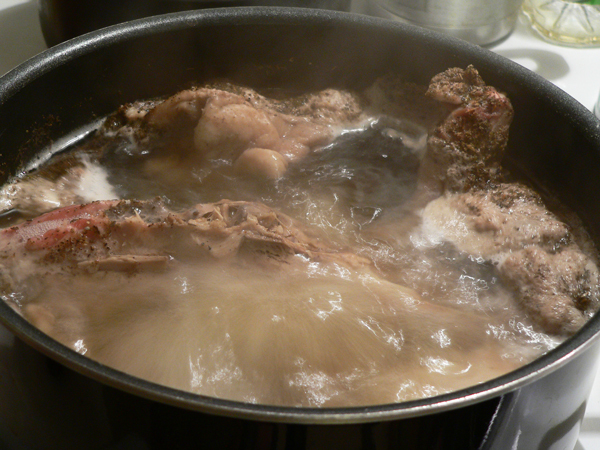 Getting rid of the lumps is always a big concern when someone thinks about making gravy from scratch. Hopefully, we can show you how to avoid that. We’re making giblet gravy using the giblets from a turkey we recently cooked. Giblets are generally included with most turkeys when you purchase them at the store. 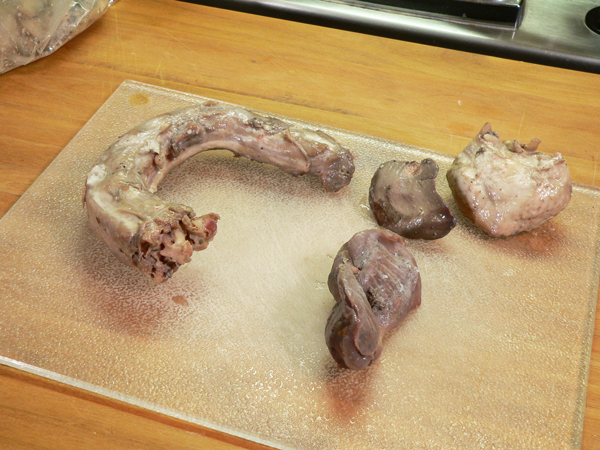 You’ll get a neck bone, which has lots of meat, a gizzard, liver and maybe the heart. I’ll show you how to cook those up to make your own broth, then put it all together to make a really delicious giblet gravy you’ll be proud to serve anyone. You could make it using some of the fat and pan drippings from your turkey, or you could substitute butter instead for the fat part. Canned broth and water can also be used instead of making your own. Either way though, you’ll need to cook the giblets, so why not use that broth? 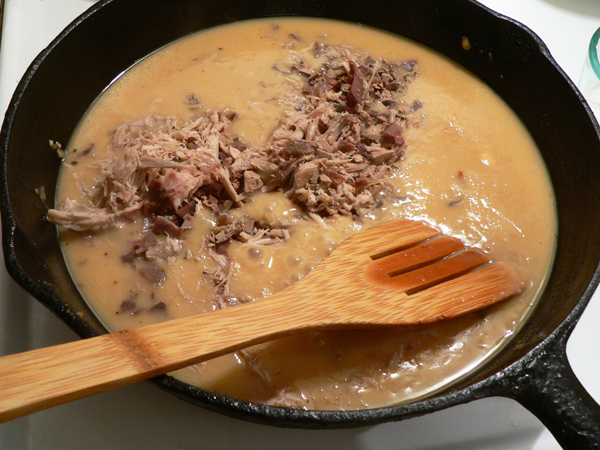 This old fashioned giblet gravy has a bit of a different taste than what you’ll find if you use gravy from a jar, or even use those seasoning packets that you add water too. It’s tempting to do either, but I’m certain you’ll love this homemade giblet gravy should you be willing to try it. Ready? Alright then, let’s head to the kitchen, and… Let’s Get Cooking! 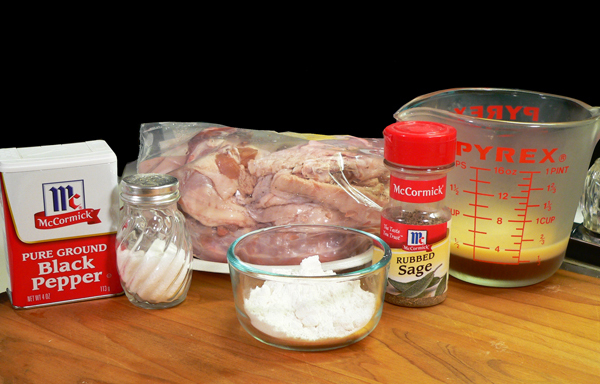 Giblet Gravy recipe, you’ll need these ingredients. 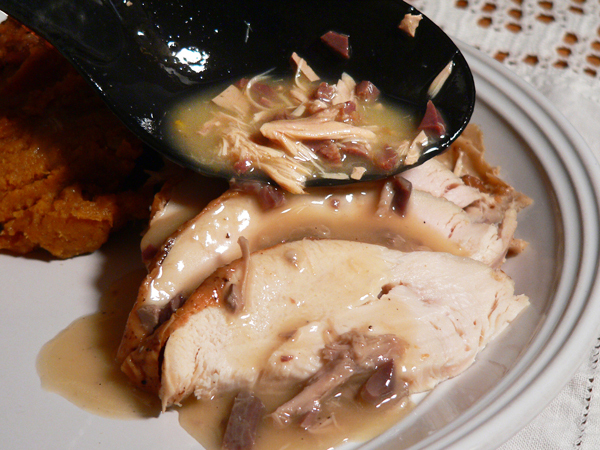 I’m using the giblets from my Thanksgiving turkey to make this recipe. 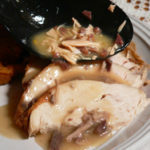 I’ve posted the recipes for cooking turkey several ways here on Taste of Southern. I’ll give you the links to those below. Giblets are usually included with most turkeys when you purchase them, but not always. Check the packaging on your turkey to see if they are included before you purchase one. You’ll usually find the neck bone inside the bird, and a packet that includes the gizzard, liver and heart, inside the neck cavity. You will want to remove those before you roast your turkey. I also used the backbone, tail and wing tips from my Spatchcock Turkey in this recipe, although they’re not required. 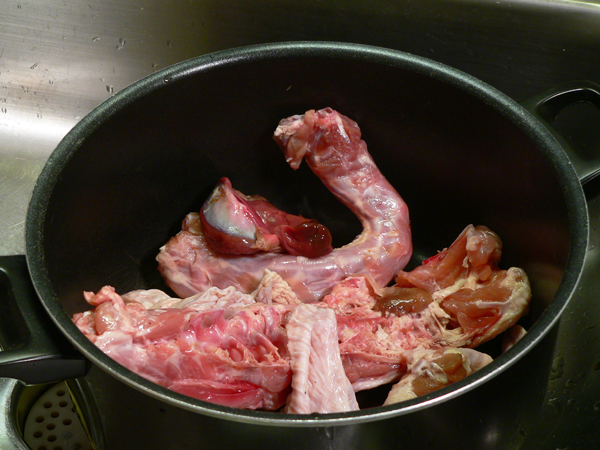 Place the giblets in a medium sized sauce pot. Cover the giblets with about 2-3 inches of cool water. Place the sauce pot over Medium heat on your stove top and let it come to a boil. Reduce the heat down to a low boil, then cover the pot. Let this slowly boil for one hour, checking about halfway through to be sure all the water isn’t boiling away. 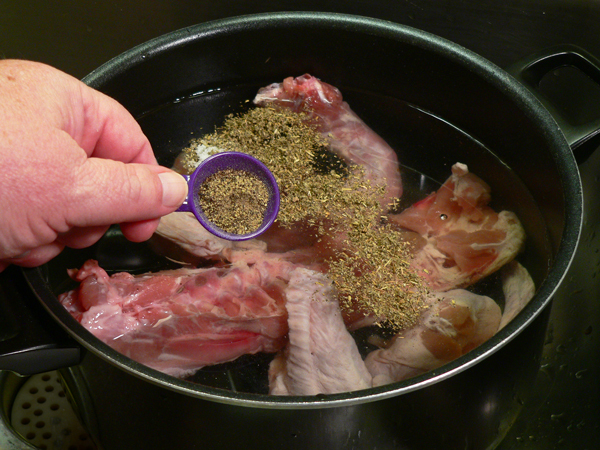 The water will reduce down, leaving most of your spices clinging to the inside of the pot. Don’t worry about them though. You’d want to skim off any dark stuff that might be floating on top of your broth anyway. 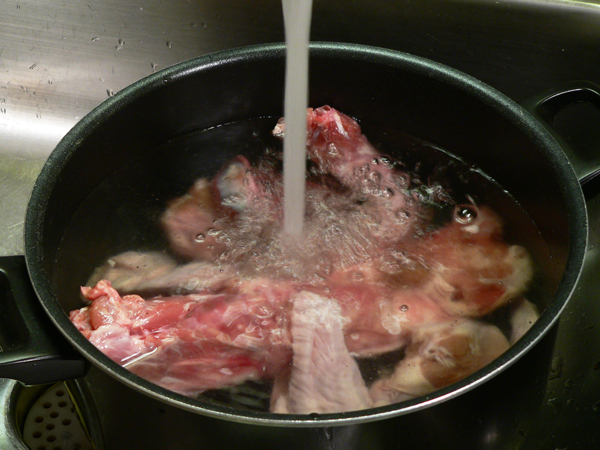 Remove the giblets from the broth and let them cool a bit. Save the liquid though. I’ve got the neck, gizzard, liver and tail here, but I decided not to include the tail. Didn’t need it as you’ll see below. 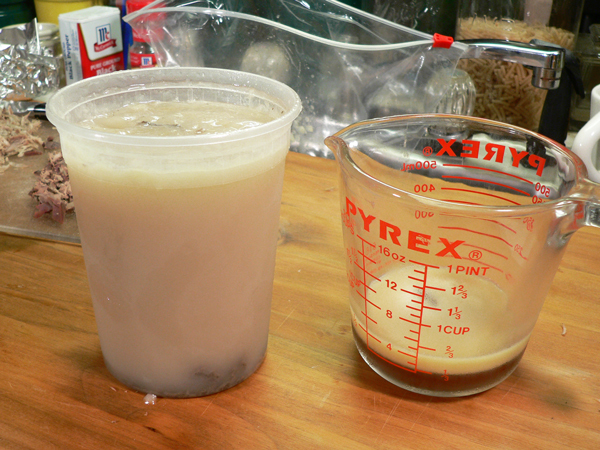 I saved the broth from cooking the giblets (left) and the pan drippings and fat (right) from where I roasted my turkey although there wasn’t much fat. You might have more depending on how you roast your bird. I also had placed this in the refrigerator overnight so the fat has risen to the top as you can see. You’ll need to chop up the giblets. The neck bone has a lot of meat on it if you work at removing it. That’s what you see on the left in the photo above. 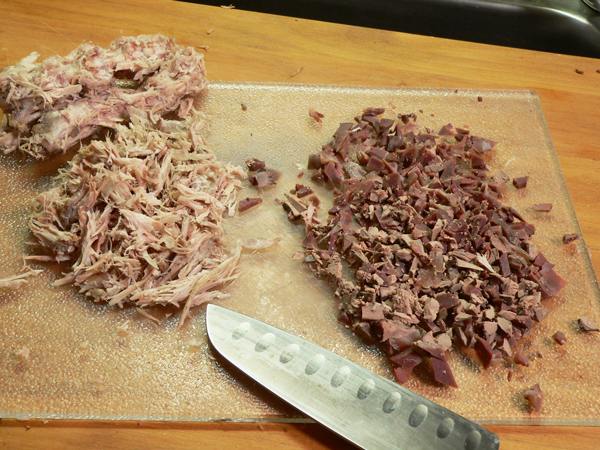 I also have chopped up the gizzard and the liver as you see on the right. Chop it up into smaller pieces and set it all aside. Don’t tell anyone, but I failed to chop the meat from the neck bone. I really should have though. Smile. It’s just a matter of preference. You could also just run this through a food processor to cut it up but why have another appliance that needs to be washed… right? 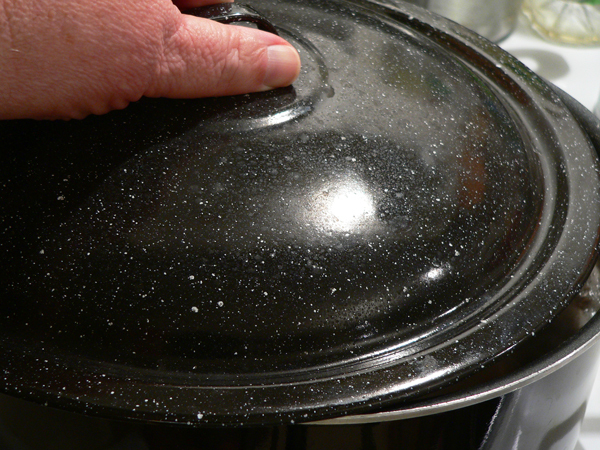 Place a skillet over just below Medium heat on your stove top. 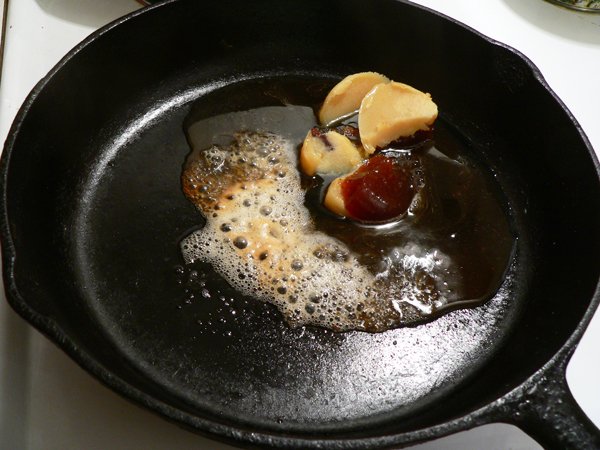 Once the pan gets warm add about 4 Tablespoons of the fat and pan drippings. You could also just use butter for this part if you desire. Add 3 to 4 Tablespoons of flour. All purpose or self rising flour will work just as well for this. Just sprinkle it over the fat in the pan. 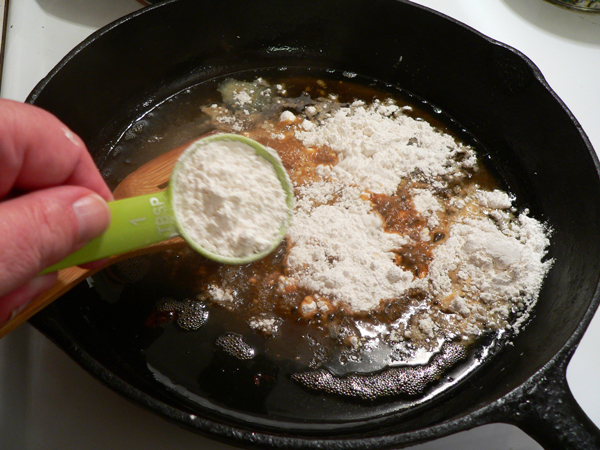 Quickly stir the flour and fat together so it doesn’t begin to burn and stick to the pan. We’re making a “roux” with the fat and the flour. Continue to stir this and let it cook for about two minutes to cook away the taste of the flour. Generally, the longer it cooks the darker it gets which makes for darker gravy. Mine is a bit darker because of the pan drippings that I had from my spatchcock turkey. Add a small amount of broth to the pan, then stir vigorously until it all blends together. If it’s still too thick, with lumps, add a bit more broth. After stirring, it all should come together lump free. 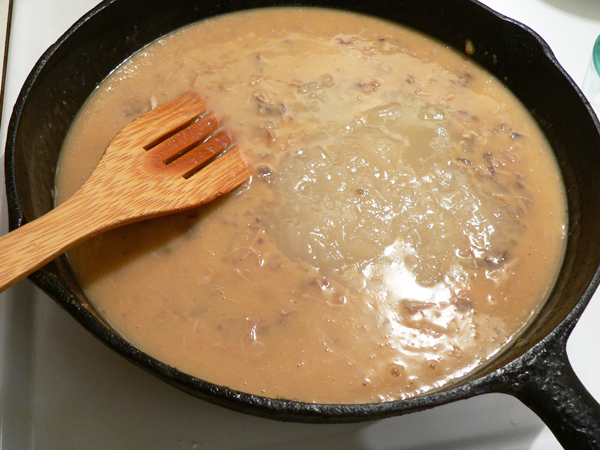 Bring the gravy to a low simmer, just until you start to see some bubbles forming. Stir it often though. Add the giblets to the gravy. Stir it all together, then gradually add the remaining broth. Continue to stir everything together over a low simmer and let the gravy reduce down until it reaches the thickness you desire. 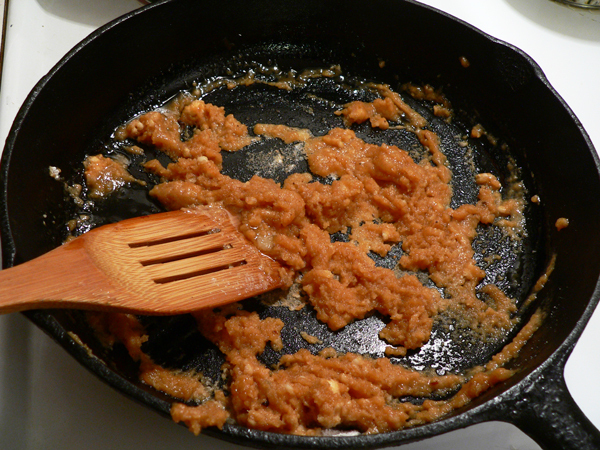 It’s better to leave it a bit “watery” because it will thicken more once it’s removed from heat and begins to cool. You’ll also want to taste it to see if it needs any more salt or pepper. Serve the gravy while it’s warm. I’ve cooked several turkey recipes for Taste of Southern. I hope you might check them out below. Follow our complete, step-by-step, photo illustrated instructions to make this Giblet Gravy from scratch. An old time favorite for your mashed potatoes, turkey or dressing. We make this using the giblets from our turkey, just in time for the holidays. Giblets – neck meat, gizzard, liver, heart etc. cooked, chopped fine. 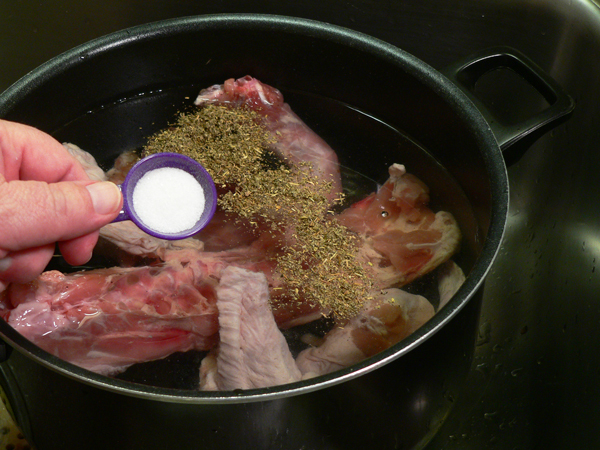 Place giblets in a saucepot and cover with a couple inches of water. Reduce heat just a bit, then cover the pot. Let boil for one hour. 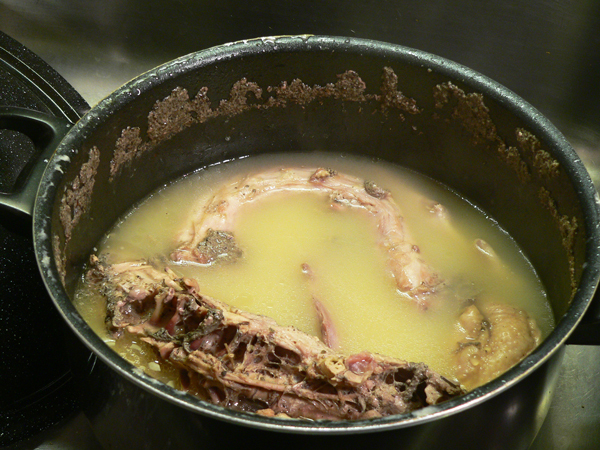 Remove the giblet pieces from the broth. Save the broth. 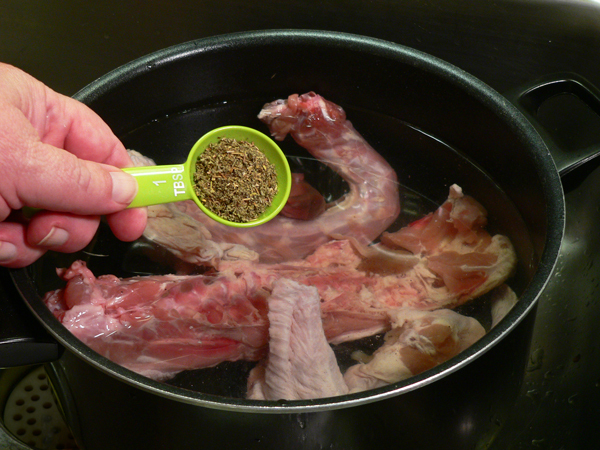 When cooled, remove the meat from the neck bone. Chop the gizzard, liver, heart and neck meat up finely. 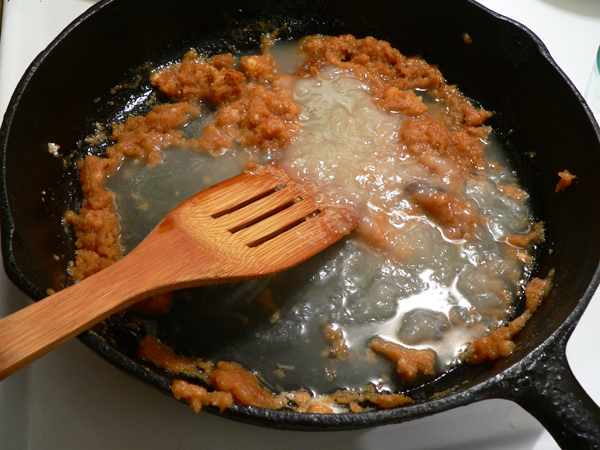 Add the fat and pan drippings, or butter. Stir vigorously and let cook for about 2 minutes. Add about half the broth. Stir vigorously, to mix together and remove any lumps. Bring to a simmer, just until you see bubbles forming. Add the giblet pieces. Stir. Add the remaining broth and stir well. 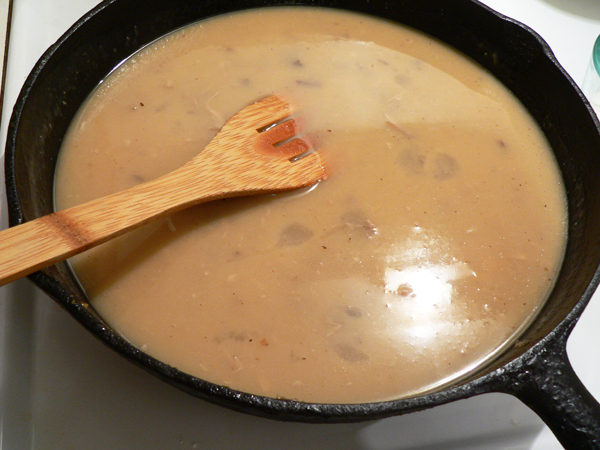 Let the gravy simmer over low heat and reduce until it thickens slightly. 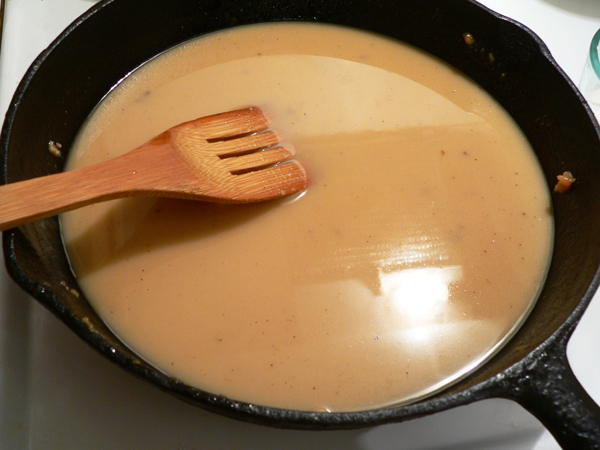 Gravy can be made a day or two ahead of time and refrigerated until needed. It’s better to not let it thicken much if you do this, then let it reduce down and thicken the day you intend to serve it. Butter can be used instead of fat from a cooked turkey. Canned broth and water can be used instead of your homemade broth if desired. Your Comments: Have you ever made giblet gravy? Worried about having a lumpy gravy?